There is one thing that children consistently not do that makes their writing lacklustre and it is failing to add details. If it's a narrative then they write one sentence for the beginning, one for the middle and one for then ending. 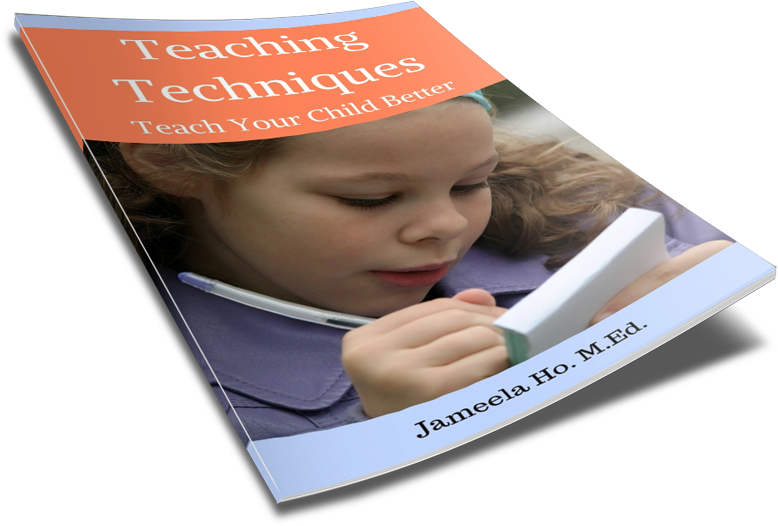 Or for older children, they write and tell you what it is without going into further descriptions, explanations or reasonings. I'm always left with thinking, And? So what? What about it? It is this lack of details that I find across the age range that lets their writing down. 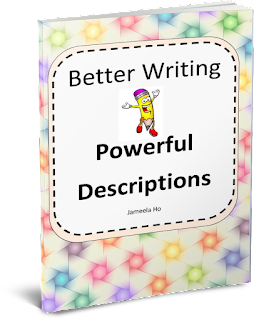 If children are writing a narrative, recount or explanation then add descriptions. What does the subject look like, feel like, smell like and sound like? Can you taste it? The use of adjectives and similies and metaphors are important here. If children are writing an exposition, persuasion or discussion then make me care. Don't just write the reason and leave it. Explain why it's a good reason, why I should pay attention and listen. The use of examples, quotes, statistics, rhetorical questions are important here. If children are writing poetry, don't just tell me. Show me it through my senses and make me feel it. The use of imagery is important here. Some children think that adding details mean writing about every single little thing. No, adding details is about choosing the most exciting or important things and giving details to these. 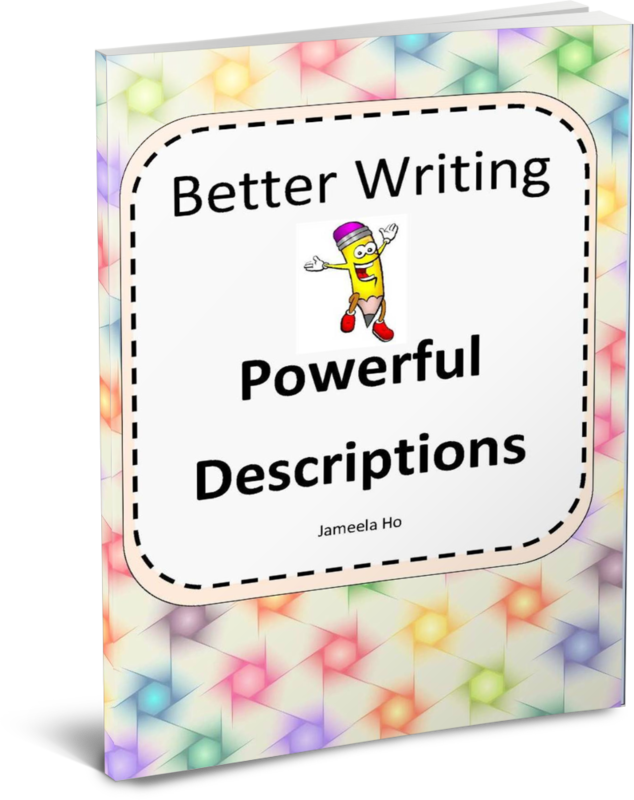 Cut out all the boring and unimportant bits and jump right into the most thrilling, moving or inspiring part of what they're trying to say. For young children, to help them write more, I tell them to make sure their paragraphs (or each sections) have at least three sentences. It's often the case that they will write a one sentence paragraph. 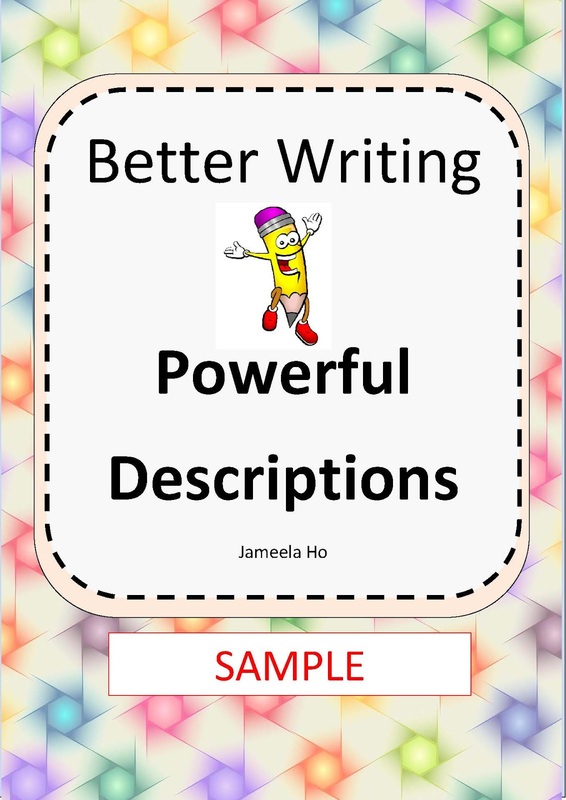 To help children write better, I have created a workbook called Better Writing Powerful Descriptions. 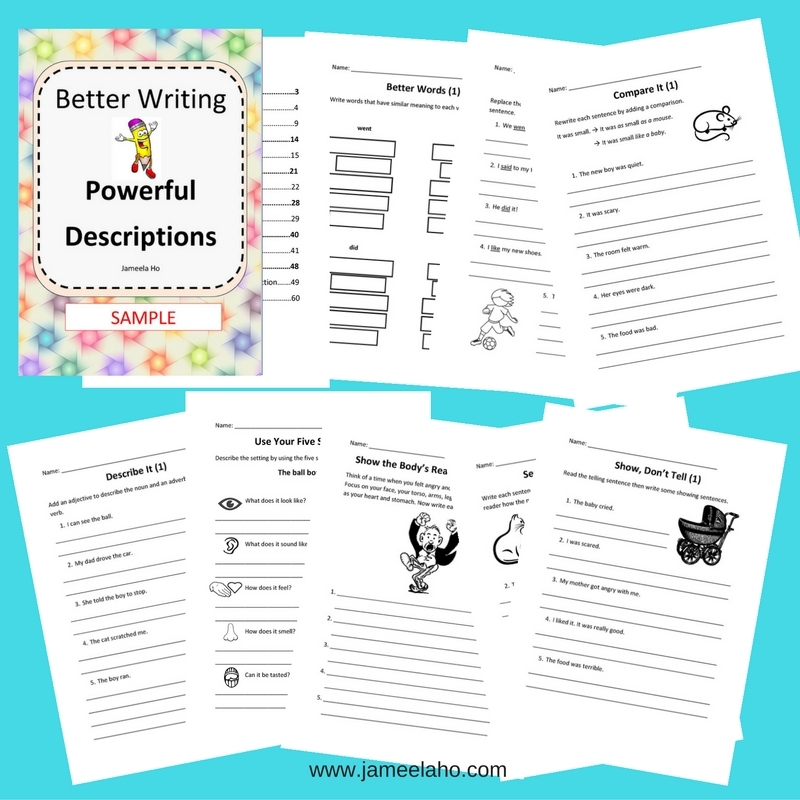 It's main focus to for children to develop and practice writing in details and descriptions. There are 8 different exercises. 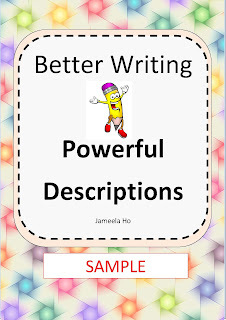 Get my free sample download of Better Writing Powerful Descriptions. There are 5 different worksheets. 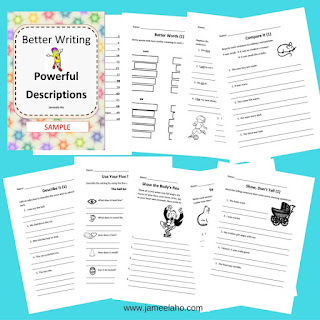 If you like more worksheets and the explanations for each section then you can purchase the complete book of 65 pages here.